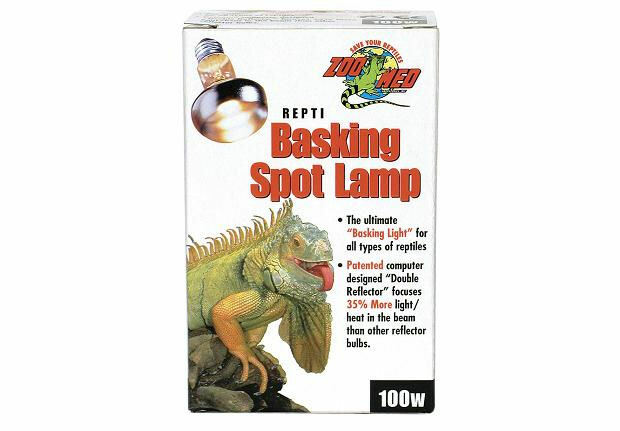 Zoo Med Repti Basking Spot Lamp 100W | Livefood UK Ltd. Unique patented double reflector focuses 35% more heat and light into a tight beam. Perfect for use with high heat basking reptiles, such as tropical and desert species. Provides beneficial UVA rays which promote stuff like breeding, feeding and are beneficial to your reptile's psychological well-being. Increases the overall ambient air temperature, necessary for the proper health of all reptiles and amphibians.